The no. 1 A380, which continues to serve as Airbus' flight test aircraft, has been named after late company test pilot Jacques Rosay, who was the first to fly the 21st century flagship and also contributed to development and certification activities for the A318, A319, A330-200, A340-600, and A340-500 while with Airbus. 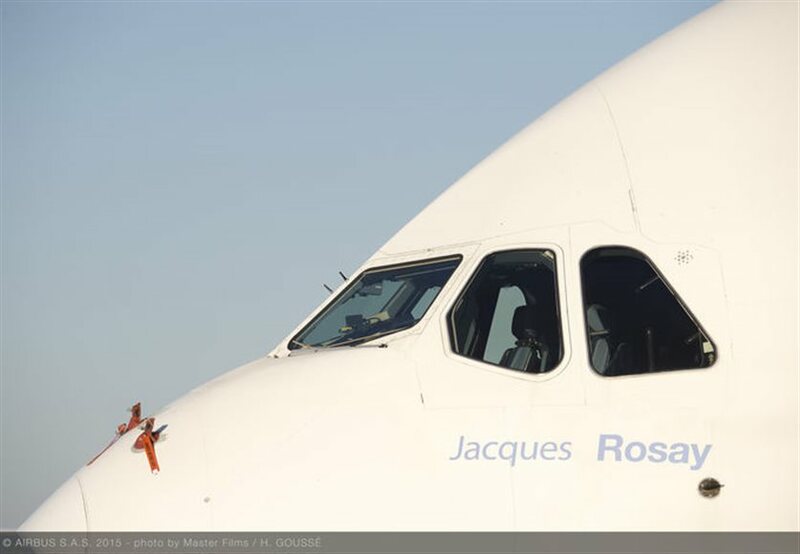 During a naming ceremony for A380 MSN 001 (Manufacturer's Serial Number 1) at Airbus' Toulouse, France headquarters facility this month, Rosay was recognized for his professional qualities, as well as his humility and down-to-earth attitude. Rosay's name has been added below the cockpit windows on the A380 testbed aircraft. With a true passion for aviation, Rosay served as Airbus' Chief Test Pilot from 2000 to 2011. He died on 12 June 2015 at the age of 66.